Tallinn, Estonia or California, USA. Winner of the 2017 Reinhard Mohn Prize entitled: "Smart Country: Connected. Intelligent. Digital." Educated in the United States, President Ilves graduated from Columbia University in New York City in 1976 and received his Master’s degree in Psychology from the University of Pennsylvania in 1978. In 1984 he moved to Europe, to work at the office of Radio Free Europe in Munich, Germany, first as a researcher and foreign policy analyst and later as the Head of the Estonian Desk. From 1993 to 1996, Ilves served in Washington as the Ambassador of the Republic of Estonia to the United States of America and Canada. During this time he initiated with education minister Jaak Aaviksoo the Tiger Leap initiative to computerize and connect all Estonian schools online. From 1996 to 1998, he was Minister of Foreign Affairs. After a brief period as Chairman of the North Atlantic Institute in 1998, he was again appointed Minister of Foreign Affairs, serving until 2002. From 2002 to 2004, Ilves was a Member of the Estonian Parliament; in 2004 he was elected a Member of the European Parliament, where he was vice-president of the Foreign Affairs Committee. As an MEP, he initiated the Baltic Sea Strategy that later was implemented as official regional policy of the European Union. Toomas Hendrik Ilves was elected President of the Republic of Estonia in 2006, and was re-elected for a second term in office in 2011. During his presidency, Toomas Ilves was appointed to serve in several high positions in the field of ICT in the European Union. He served as Chairman of the EU Task Force on eHealth from 2011 to 2012. From 2012 to 2014, at the invitation of the European Commission, he was Chairman of the European Cloud Partnership Steering Board. From 2014 to 2015, he was the co-chair of the advisory panel of the World Bank’s World Development Report 2016 “Digital Dividends” and since June 2014, the chair of World Economic Forum’s Global Agenda Council on Cyber Security. His interest in computers started at an early age – he learned to program at the age of 13, and he has been promoting Estonia’s IT-development since the country restored its independence. During recent years, PResident Ilves has spoken and written extensively on integration, trans-atlantic relations, e-government, cyber security and other related topics. 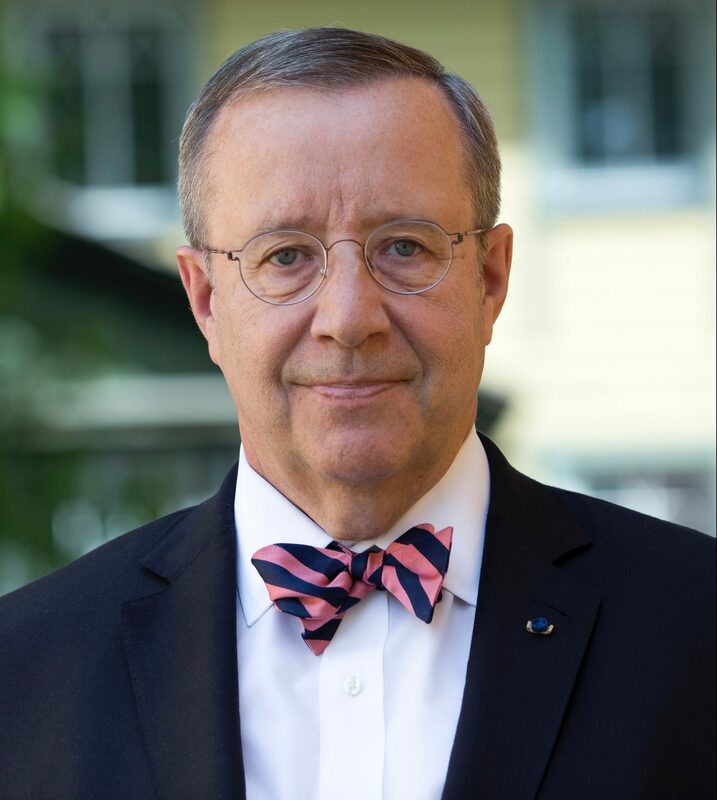 President Ilves has published many essays and articles in Estonian and English on numerous topics ranging from Estonian language, history and literature to global foreign and security policy and cyber security. His books include essay collections in Estonian, Finnish, Latvian Hungarian and Russian. In 2018 Ilves was elected by aPolitical as one of the World’s 100 most influential people in Digital Government. To check Toomas Hendrik Ilves availability to speak at your event please contact us here. "Highly charismatic (and with perfect English) President Ilves is a global thought leader in the fast-emerging and crucial area of e-government and cyber security. As one of the key individuals driving Estonia's world-renowned program of digital public policy, few are as well-placed as he to throw light on how to bridge the gap between the technical and policy-making worlds, and the link between digital and economic development."